Background/Info: Texan formation Fiction 8 was mainly active during the 90s. 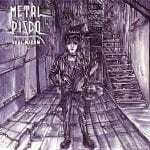 The band driven by Michael Smith released some work on labels such as Discordia, Matrix Cube/Trinity, Nilaihah Records and Erisian Records. Both last albums were self-released. Content: I think I might say there are two parts running through this album. The first part is more electro-like, which is explained by the band as a go back to the roots, and a second part, which is more driven by guitar. Some songs have something dark and dreamy-like so it’s not a coincidence the sphere supporting this album is one of the most noticeable elements. Michael Smith’s unique timbre of voice remains another major aspect of the production while a few female backings inject a touch of grace. 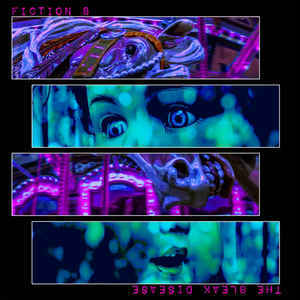 + + + : I never have been a huge admirer of Fiction 8, but I have to admit the band has kind of very personal sound DNA. That comes already through on the new work, which also appears to be a fully accomplished production made of styled songs. I can’t say to have a preference for the more electro-like cuts or the gothic-inspired ones. Both parts reveal several cool cuts. This is maybe one of the best works by Fiction 8! – – – : This album is maybe missing a hit, but that’s maybe the story of this band, which never really broke through. Conclusion: I’ve been positively surprised by “The Bleak Disease”, which is a personal- and even intimate work. Best songs: “We’ve Come To Destroy You”, “Change”, “Less Than Human”.